Harpreet Sandhu - Actor/Director/Producer from Hollywood comes forward and shows his love for his mother tongue. 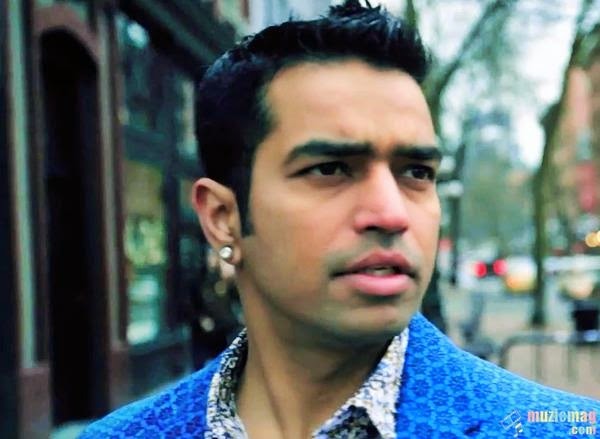 Harpreet Sandhu is the man who took the risk of producing a Punjabi film with new faces on board. Punjabi Film Industry has seen enormous growth in the past few years and its development has been dependent on singers turning actors. In the recent years, industry is coming with comedy films that have lost audience's interest in Punjabi Cinema. So much damage has been done to the art of film making that as soon as audience hears a singer starring in a Punjabi film, their faces are turned away from Punjabi Films. Producers and director are probably not ready to take the risk on raw new talent and give the opportunity to actual actors who can hold the film together and create convincing performances. However, against all the odds, an Actor/Director/Producer from Hollywood comes forward and shows his love for his mother tongue. Harpreet Sandhu is the man who took the risk of producing a Punjabi film with new faces on board. He brings a fresh storyline that people can connect with and provides an opportunity to new actors, artists, musicians, writers, vocalists and above all to the general public. Harpreet Sandhu hails from a village from East Punjab called Rurka Kalan. A post graduate of Khalsa College, Amritsar and an international athlete of his times turns to Punjabi Film industry to change the face of Punjabi Cinema. Known internationally for his style of filming and art of storytelling, Harpreet Sandhu has won numerous international awards in Los Angeles, Toronto and Switzerland in prestigious film festivals. Almost six years ago, Harpreet wrote a film script that stood out among modern Punjabi Films and provided opportunity to aspiring film actors. 'Work Weather Wife' script itself is an international concept that has been beautifully shot around Vancouver, British Columbia. Being a Punjabi himself, he realized it is his duty to touch the subtle community issues in a commercial way. 'Work Weather Wife' is a perfect blend of Hollywood style film shooting and Bollywood style songs sung by Alka Yagnik, Arsh Avtar, Dilbag Brar and Sukhjinder. The gripping drama stars Harpreet Sandhu along with Abbotsford's own Reema Nagra in the lead role; film moves itself in a very interesting way and leaves its mark on the heart of the audience. The film is set to release worldwide in summer of 2014. Stay tuned.